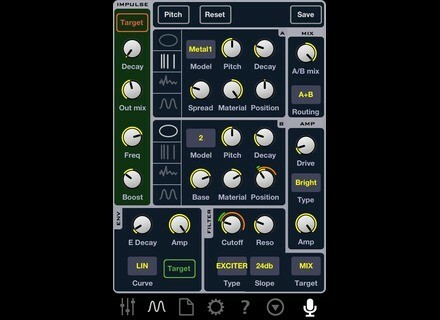 Impaktor, Virtual instrument for iPhone / iPod Touch / iPad from BeepStreet. BeepStreet has released Impaktor, a drum synthesizer designed to turn any surface into a playable percussion instrument. You can just slap your desk like you would a real drum. The acoustical impulses from the built-in microphone are used as an excitation source for sound modules that simulates behavior of membranes, cymbals, metallophones or strings. With semi-modular architecture and several types of synthesis, Impaktor can produce a range of tones, from acoustic, like Tabla, Djembe, Marimba, Cymbals, Metal bars to electronic or industrial sounds. Synthesis: physical modeling, frequency modulation, noise shaping. Semi-modular architecture; 2 modules with configurable routing. 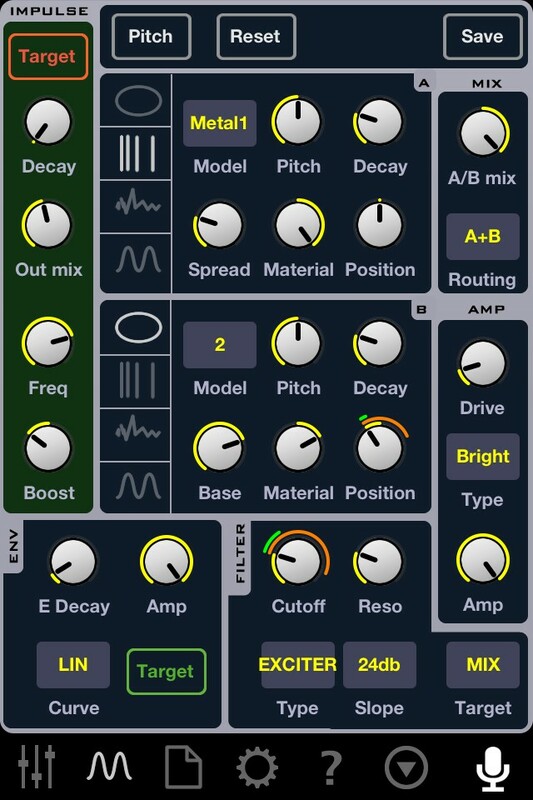 2 modulation sources: velocity and lfo-envelope. Almost every parameter can be modulated. Multimode filter, harmonic exciter and several types of amplifiers. Over 90 presets available, more coming soon. Impaktor is available to purchase for 3.99 EUR. Avid Pro Tools & Pro Tools HD 10.3 Avid has updated Pro Tools 10 and Pro Tools HD 10 to version 10.3 on Mac OS X and Windows 7.